A copy of the document was made available to the Prosecutor-General's Office yesterday. A copy of the letter in which fugitive Ukrainian President Viktor Yanukovych asked Russian leader Vladimir Putin to send in troops to Ukraine has been published. It is the document which Russia's envoy Vitaliy Churkin showed at the 3 March 2014 meeting of the UN Security Council, says Censor.net which has come into possession of a copy of the letter. "As the legally elected president of Ukraine, I state that as a result of the Maydan events and the illegal seizure of power in Kyiv, Ukraine has found itself on the brink of a civil war. Chaos and anarchy rule the country while the life, safety and rights of people, especially in the southeast and Crimea, are at risk. Under the influence of Western countries, open terror and violence are taking place, people are being persecuted for political and language preferences. Thus I would like to ask Russian President V.V. Putin to use the Armed Forces of the Russian Forces to restore the law, peace, order, and stability and protect the people of Ukraine," the text signed by Yanukovych reads. Churkin authenticated the shown document with its own letter. 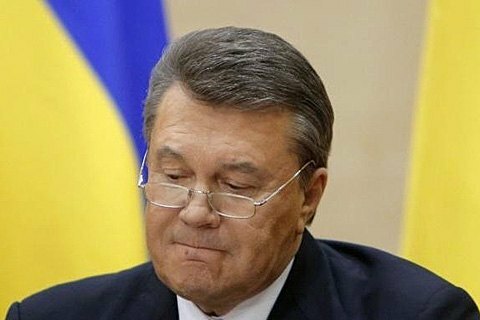 "Both Yanukovych's and Churkin's letters have been in the files of the case on high treason by Viktor Yanukovych since November 2016," a law-enforcement source told Censor.net. A copy of Yanukovych's letter was made available to the Prosecutor-General's Office.